Whether dining for four or dining for twelve, having a board meeting or playing a board game this dining room is the place to be. 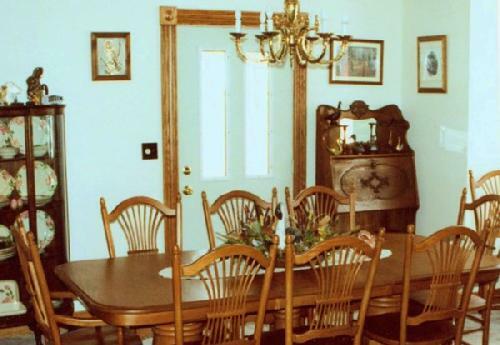 The large oak dining table is surrounded by antiques on all sides. 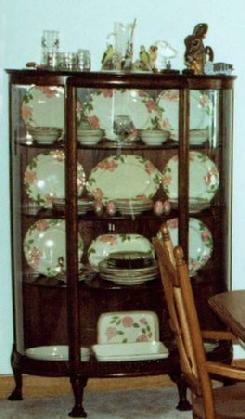 In two display cabinettes is elegant tableware, while the handcrafted grandfather clock announces the time.